I'm on a perpetual quest for the perfect computer mouse. 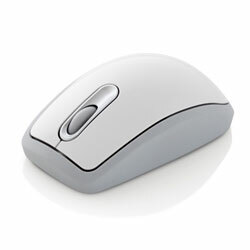 I find something wrong with almost every mouse I use: wireless mice - too heavy, Microsoft mice - comfy but kinda plain looking, Logitech mice - the high pitched click sound grates on me (I WISH I were kidding), Apple mice - pretty, but not that comfy and hard to clean, gaming mice - expensive and ugly... I could go on. The one brand of mice I always like are Wacom mice. They look great, have all the right features, and they're super comfortable. The problem is they only work on a Wacom drawing tablet. Which is why Wacom should make regular USB (and Bluetooth) mice with high sensitivity tracking. Wacom mice could be really popular with style conscious customers and anyone looking for something a little nice than the standard mouse. In fact just writing this has me thinking if it would be possible to cobble one together with an existing Wacom mouse and a USB mouse.